‘The Finkler Question’ by Howard Jacobson has won the Man Booker Prize. It is a dark and difficult comedy about contemporary antisemitism and about how contemporary Jews deal with it. It is a sharp and political satire on the “as a Jew” affectation, by which some attempt to mobilize their Jewish identity as an ideological weapon against Israel; some also try to mobilize their Jewish identity against the efforts of the overwhelming majority of Jews who gently and quietly try to live in a contradictory world. The “as a Jew” activists are happy to reassure the British intelligentsia that there is no significant problem of antisemitism in the UK. Jacobson challenges this bland and one-sided reassurance with a funny and complex narrative in which he outlines a more challenging reality. Tonight some, at least, of the British intelligentsia has shown that it is not necessarily convinced by the strange “as a Jew” variant of identity politics. Thus lie follows lie, omission follows omission, until, in the tenth and final minute, we have a stage populated by monsters who kill babies by design – “Tell her we killed the babies by mistake,” one says, meaning don’t tell her what we really did – who laugh when they see a dead Palestinian policeman (“Tell her they’re animals … Tell her I wouldn’t care if we wiped them out”), who consider themselves the “chosen people”, and who admit to feeling happy when they see Palestinian “children covered in blood”. Howard Jacobson writes as if there’s something new about describing critics of Israel as anti-Semitic. But it’s the usual tactic. In this way Churchill accused Jacobson of being a dishonest propagandist for Israel rather than an intellectual or an artist. Today, the Man Booker committee has shown its profound disagreement with Churchill’s disgraceful accusation. Read the full piece by Jacobson here. Read the bullying and libellous responses to Jacobson’s piece here, the following day, in the Independent. Read also Jacqueline Rose’s attack on Jacobson, as well as his further defence, here. It is charmingly entitled ‘Why Jacqueline Rose is not right’. See Jacobson’s brilliant critique of the campaign to boycott Israeli universities here. More on the ‘Ashamed Jews’: click here and also here. there is no logical debate about Israel, growing numbers of confused individuals trying to “define their enemy” in a post- modern world and malicious individuals using their influence on people deciding who that enemy will be. Logical people criticizing Israel but not delegitimizing it since – they should be given more coverage. 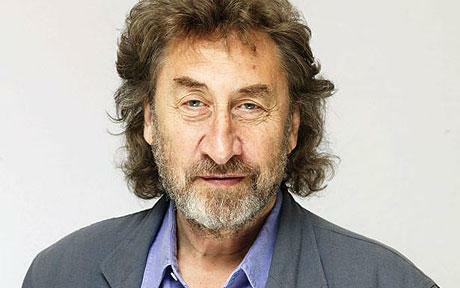 Congratulations to Howard Jacobson. His book is one of the next things I’ll read. And from the sublime to the…nasty. Over at the Independent online, the comments to their Editorial of today on Jacobson’s win have been swiftly pulled. After having read the first hateful ones to come out of the sewer, the moderators or their superiors must have realised that they had a potential debacle on their hands. @Tamara: What’s hysterical. The book or the Engage piece? And does Jacobson think that people are talking about Jews differently? Is anti-semitism on the rise? Having read the book, I just wanted to put my penny’s worth in and say that of all the characters in the book, I fell desperately in love with Tyla (Finkler’s wife). It seems to me that she was the only one who in the book who truly got “it” in a way that no-one else did. Howard Jacobson has such a supple mind. It was wonderful reading his pieces again and confirming that he is such a valuable voice in this horrible world. Is Jacobson having a joke? Most of Dr. J’s own writings (as opposed to the ‘Life of Johnson”) are largely forgotten today — for good reason. I suppose that “The Lives of the Poets” and “The Vanity of Human Wishes” are not too bad — but ‘favourite writer”? I have chosen Dr Johnson’s Rasselas and I have chosen it because I think it is one of the best pieces of prose ever written, one of the best tales ever written. I adore it. It is the most intelligent book in the world. And it is full of laughter and it is full of sadness and it is chock full of wisdom. Not enough people know it and once upon a time everybody knew it. In Jane Eyre the girls know Rasselas by heart. It was a book that was reprinted every single year for half a century. It was the book. It was the book that fed Jane Austen, seeded George Eliot, fed Charlotte Bronte and Mrs Gaskell. Everybody knew and loved it. It is the source of the English novel. People still won’t call this a novel, they call it a tale or a fable. And he [Johnson] is most known as the author of the dictionary and as a writer of essays and as a literary critic. This has got all those gifts in it. He’s a wonderful essay writer. What is extraordinary about Rasselas is that it looks as though it’s going to be sermon. It looks as though it’s going to be a moral fable and in seconds it’s got all the virtues of a novel. . The thing just crackles with intellectual and also sympathetic life. It’s the story of Prince Rasselas’s pursuit of happiness, looking for a station in life or an occupation that will yield satisfaction, which is what we all do and which essentially one way or another although it might be dressed up is the story of every novel. It is his search to find happiness. We should be reading it now for all the reasons I’ve given. It is full of wisdom. As well as being an English novel it explains the English novel. It’s a great pleasure in hearing Jane Austen almost being born in it but also because it extends our sympathetic imagination of the characters. We don’t simply judge them. Nor do we forgive them because we should forgive people. We do in this book exactly what we are meant to do in a novel, which is to understand dramatically why a person is that person to himself or herself. What it is like to be them. It is a supreme book about what it is like to be now this person, now that person and the tragedy of it. Having read your post with Jacobson’s opinion of ‘Rasselas and other of Johnson’s works, I withdraw my earlier supposition that he was joking. Now I just think he’s wrong.